Even a blind squirrel finds a nut now and then.... so the saying goes. Increase your odds with this golf cap. 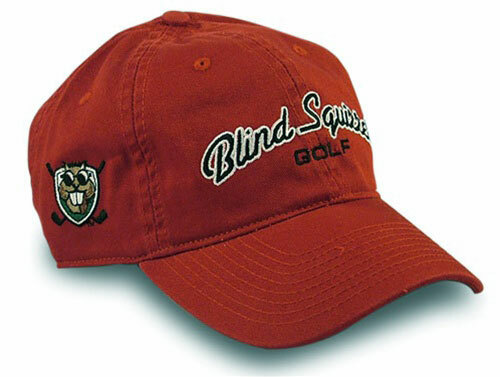 This quality lid sports the wording "Blind Squirrel Golf" across the front and the lucky sight-impaired rodent on the side panel. It's sure to turn a few heads. Join our mailing list and get 10% off your order. Type in your email and we'll send you a coupon code for 10% off when you checkout! Copyright WannabeGolfer.com. All Rights Reserved. eCommerce Software by 3dcart.